Drew Price shows off a 24.5-inch beast that fell for a dead-drifted streamer. During runoff, trout streams tend to be a bit on the high side, and the water is cold and discolored. 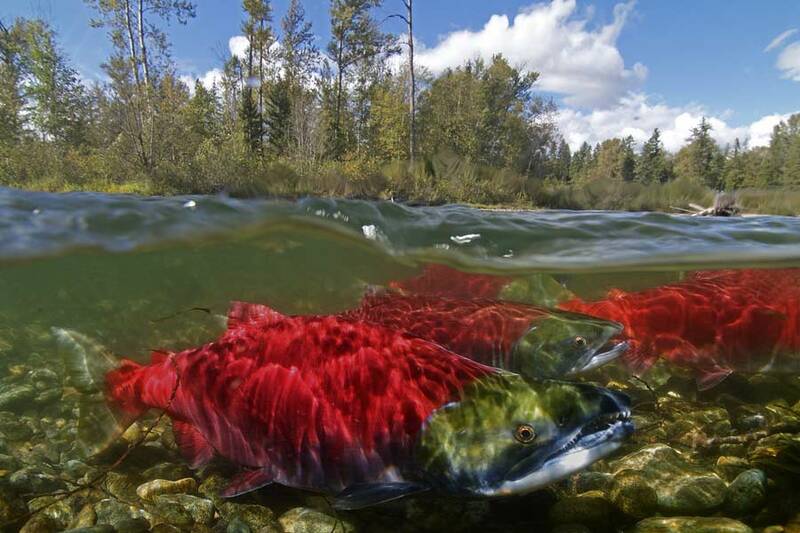 These can be tough conditions for fishing, but it can also be one of the best times of year to. . . Fly fishing can often be spectacular when the water is slightly dirty, so don’t give up just because conditions aren’t crystal clear. In this great video, Dave Jensen gives us some solid tips on how. . .
Here’s a brilliant installment in the video series “The Bank” from Dave and Amelia from Jensen Fly Fishing. 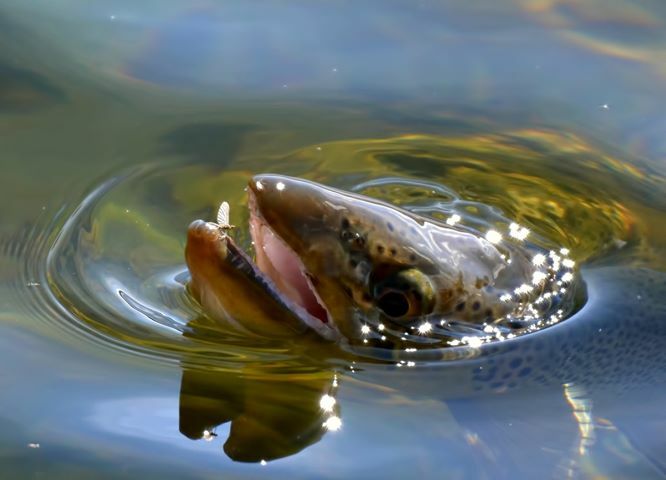 Here they offer a couple of important pieces of advice for fishing to picky trout, . . .
Here’s a killer video from Trey Mullen—a guide at Brush Creek Ranch in Saratoga, Wyoming—paying trubute to the Cowboy State’s incredible fly fishing. Somebody in the tourism. 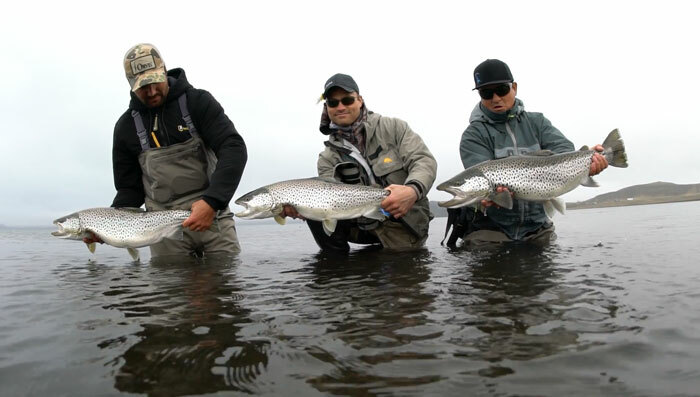 . .
“The Hidden,” one of the big hits from last year’s International Fly Fishing Film Festival, has just been released for general viewing. 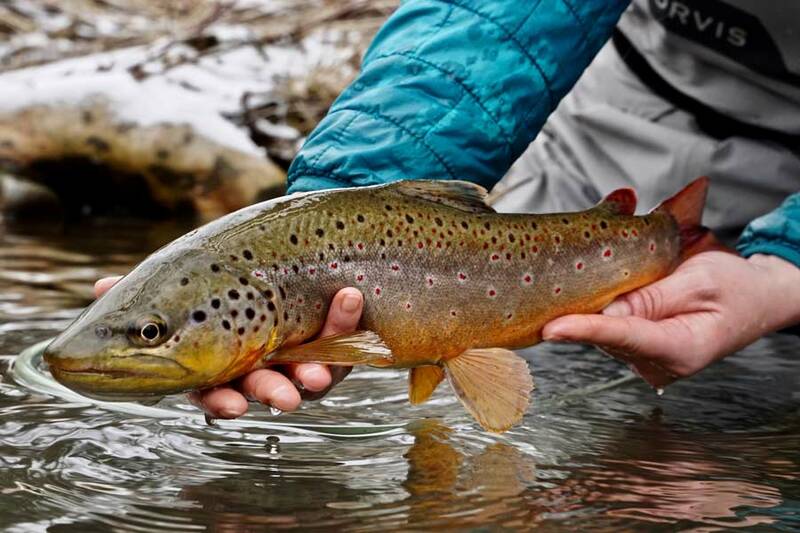 It stars several “Friends of Orvis”–including Fishing . . . I like to think that, in a couple of years, Italy will be the “new Slovenia.” Here we are talking about the Alps in in the Trentino region–in the far north of the country–where you can catch marble . . .